'Bajrang Printer' is having its excellence in print media & is capable of doing any printing, and advertisement or print media related popularity to any business. The companies for which we have worked are showing this itself. We have worked for almost every known company & also with those which are looking for popularity & gain an edge in their business. 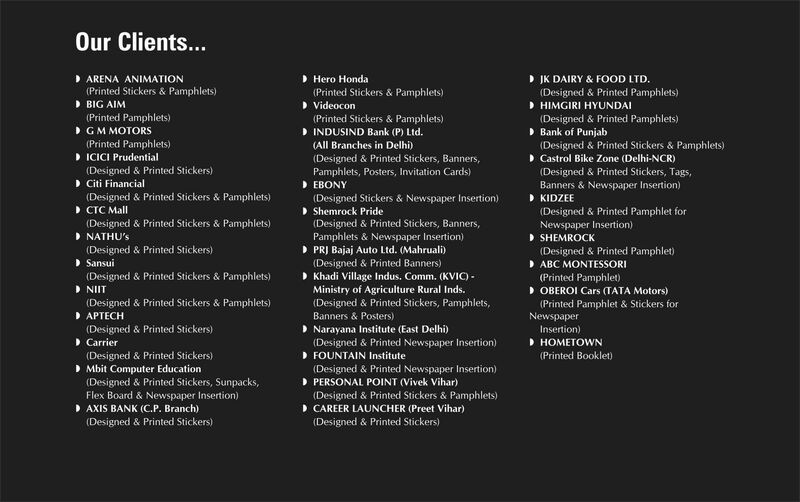 Bajrang Printer is showing some of our valuable clients, for which we have worked.